Basic (Foundation) and Advanced. 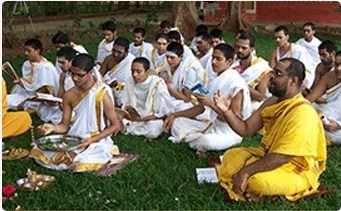 Each course covers various central Vedantic concepts. The primary aim of the Bhagavad-gita Course is to make the glorious ‘Gita way of life’ accessible to anyone who yearns for it, or is just curious to know more in a convenient yet effective manner. It provides a holistic, insightful coverage of the entire text in a lucid and simple style without compromising on the salient features of this priceless knowledge. Providing inputs in the modern context for continuous improvement it becomes a practical manual to live a transformed life of goodness and greatness. This Bhagavad-gita Course is indeed the proverbial ‘philosopher’s stone’ transforming our lives from being ‘reactive’ to become ‘effective’. 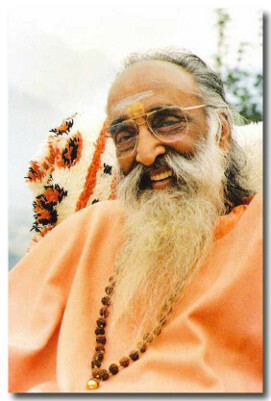 Swami Chinmayananda, the founder of Chinmaya Mission, initiated a unique method to study Vedanta at home through easy lessons. These lessons are made available from Chinmaya International Foundation (CIF). The primary aim of this Home Study Course is to introduce you to the timeless Vedantic Philosophy and to enable you to apply its priceless wisdom in your day-to-day life. One could choose either the postal or e-mail (online) mode to study the Foundation Vedanta Course. The materials of study for both the courses are the same, regardless of whether you receive your lessons by post or e-mail. There is no need for one to change one’s faith, religion or spiritual master to do this Foundation Vedanta Course. This is a one-year home-study course with 24 lessons to study and 12 questionnaires to answer. Students are required to complete 2 lessons in a month at the rate of one a fortnight. Any individual who seeks to know the Vedantic Philosophy and earnestly wishes to apply it in his life is welcome to join this Foundation Vedanta Course. It is not required for students to know Sanskrit. This is not a course for mere academic knowledge, it is rather aimed at transforming oneself. The philosophy of Vedanta gives the right vision of life. It enables an individual to face the situations and problems of life, be it in his profession, family or inter-personal relationships, with ease and dexterity. Clarity of thinking and right vision of life enables peace of mind and efficient living. 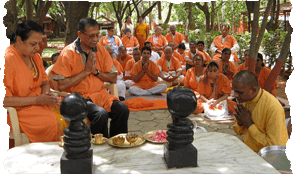 Spiritual seekers shall be able to understand what spirituality is all about and they could walk the path of sadhana effectively. Any individual who seeks to have an in-depth study of Vedanta is welcome to join this course. It is not required for students to have completed CIF’s Foundation Postal or E-Vedanta Course to register for the Advanced Vedanta Course. Vedic Mathematics is a blessing to everybody in this day and age when people’s numerical skills are deteriorating as the use of calculators is increasingly commencing at a younger age. Vedic Mathematics’ shorter, quicker and easy to remember techniques enable any student to do calculations faster than they would with conventional methods. Students of Vedic Mathematics dispel their fear of mathematics and gain a new-found confidence to work on any mathematical problem without apprehension. This Vedic Mathematics course aims to promote the traditional knowledge of Mathematics mastered by the mathematicians of ancient India. Being an enthusiastic educator, trainer and motivational speaker, Vinay Nair has been imparting the knowledge of Vedic Mathematics, since 2009. 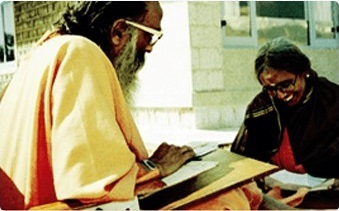 He founded the ‘School of Vedic Maths’, with an aim to not only teach techniques but also to facilitate productive thinking. In collaboration with CIF he conducts courses, workshops and seminars in schools, colleges and camps on Foundation & Advanced Courses of Vedic Mathematics for an audience anywhere between 10 to 75 years of age. The strong belief that learning Vedic Mathematics improves Observation, Concentration and Creativity apart from the Numerical Ability is what leads this young educator to travel around imparting this ancient system. His approach to teaching is modern and accessible whereby he facilitates students to learn by discovering new methods of their own. 24 lessons covering different techniques in subtraction, addition, multiplication, squaring, square root, cubing, compound multiplication, Pythagoras theorem, area, Katapayadi number system and ancient Indian mathematics. Make It Happen™ is a tool kit for life. It is filled with powerful ideas, eternal principles and self empowerment exercises specifically designed to guide one through the unfoldment of one’s inner personality. This dynamic programme takes one on a journey of self discovery, helping to unravel the question of life’s true calling and providing one with highly effective tools to Make It Happen™. Committing to the Course will result in a powerful change in one’s life and will help discover success in the outside world as well as fulfilment within. Course Author Swami Swaroopananda brings the timeless wisdom of Vedanta – the Perennial Philosophy to today’s life and people.His profound insights into modern personal and corporate life, coupled with his humane and down-to-earth approach, makes Swami Swaroopananda a unique spiritual leader and mentor. • To gain clarity on one’s inherent nature (unique qualities) or Swabhava. • To set goals in line with one’s nature to express it fully. • To overcome desires and fears that hold one back from achieving the goals & fulfilling one’s potential. • To work in a way that our productive potential is maximized and one attains success and from success to significance. • Fully utilize both the emotional and intellectual dimension of one’s personality. • To discover fulfilment, peace and contentment in the journey. This is a 3-months study course with a total of 18 chapters to be studied.